How To Use Your Don't Text and Drive Wristbands? 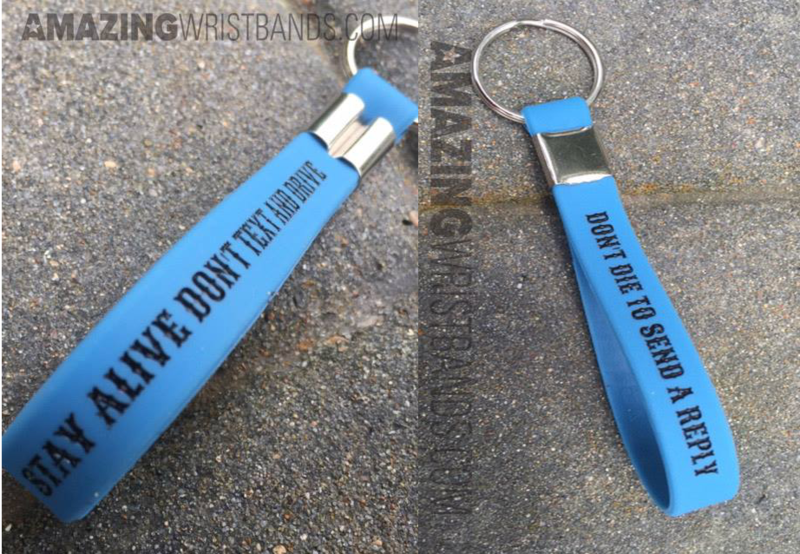 Custom Don’t Text and Drive wristbands can be an excellent reminder for safe driving. Texting while driving can lead to disastrous results. Especially among teenagers, distracted driving is as dangerous as driving while impaired. There are many campaigns to encourage teens and other drivers to leave their phones alone while they’re behind the wheel. High schools can pass out safe driving wristbands with a theme related to the school, such as using the school colors or clipart of their mascot with a message such as "Wildcats Don't Text and Drive". Driving schools can give away wristbands to teens who pass their written or driving tests with a message such as "Alive at 25" or "Leave the Phone Alone". Parents can give custom silicone Don't Text And Drive rings to their teen drivers. Design your Custom Don't Text And Drive Bracelets Online Now! Why Focus on Teens for Safe Driving Bracelets? Among male drivers between 15 and 20 years of age who were involved in fatal crashes in 2010, 39% were speeding at the time of the crash and 25% had been drinking. Compared with other age groups, teens have the lowest rate of seat belt use. In 2011, only 54% of high school students reported they always wear seat belts when riding with someone else. Compared with other age groups, teens have the lowest rate of seat belt use. 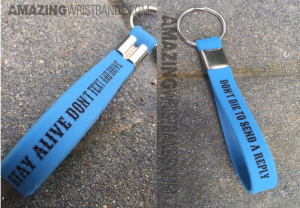 Amazing Wristbands is a leading provider of customized silicone wristbands available online, including Don't Text and Drive bracelets. In addition to standard wristbands, we also offers slap bands, adjustable bands, USB bands, rubber rings and silicone keychains. 100% Silicone product for your Don't Text and Drive awareness campaign. NO MOLD FEE on any quantity of custom products.